A few days ago, I woke up with a happy heart since I received a gift from the famous and lovely brand, Human Clothing! :) I was about to save the clothes I got for future events but really, they were so hard to resist. Hence I wore the ensemble to Forever 21's VIP Launch last Thursday (will be blogging about the event next) and I've got no regrets of choosing these pieces from Human Clothing's current collection. I've been eyeing on this sheer floral top from Human weeks ago so you could just imagine my delight when I finally got it! You know I have a thing for sheer clothes! :p The top actually perfectly fits every kind of bottoms I have - may it be jeans, shorts or skirts. Yay! Also pulled down the top's other sleeve to have a slight off-shoulder effect. 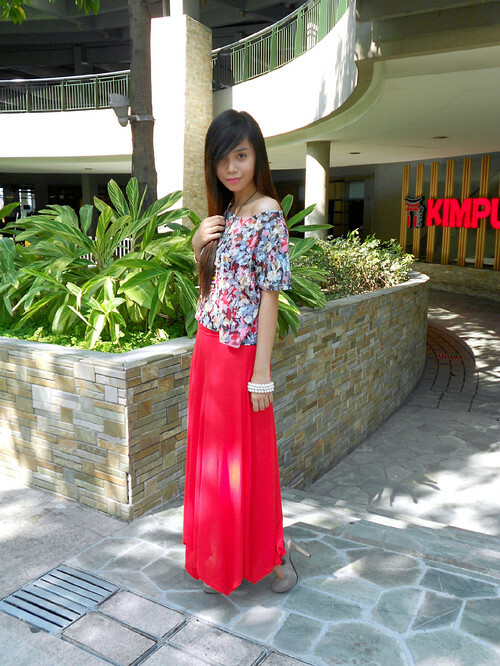 I'll share to you two photos of me taken during the Forever 21 VIP Launch. Huge thank you and hugs to my love, Kelly Medina, for these shots! I totally love how Human Clothing easily made me look certainly event-ready! Thank you so much, Lawrence Cua, and to my dearest Human/Bench family for being so generous and kind as always! :) Can't wait to shop more from the brand! You guys should check their stores out, too! Visit Human Clothing's official website here. Very nice. Looks like ur getting well known! You look really pretty! so sad I wasn't able to go to forever 21... anyways you take care! I know you'll go places too! you look so fasyon with that outfit! 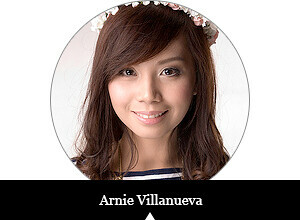 you look really pretty arnie :) love the top! @Roxanne, yay really?? Thank you sooo much and I'm glad you loved it!! @Rovie, yay!! :) Thank you so much, babe! @Kaye, thank you so much! :) See you soon babe! @Melai, super thank you dear!! :) See you soon! Super like the skirt, cute outfit! @Gellie, awww super thank you!! :) :) Hala, OMG I really wish you well, babe. What happened to your knee? Ingat always ha! 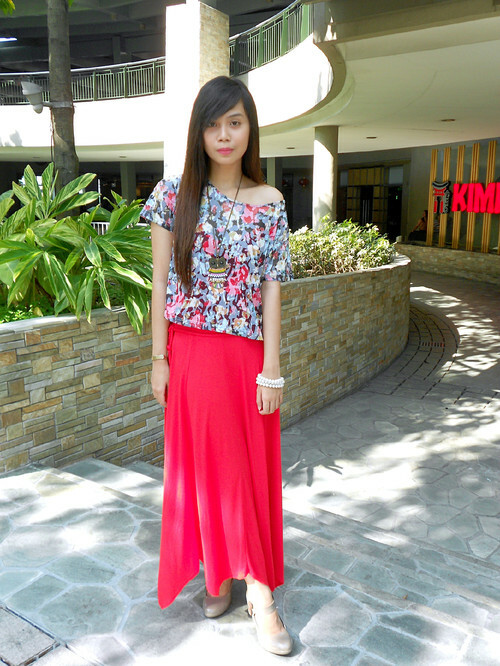 Get Sole: Bloggers "Tea Time"